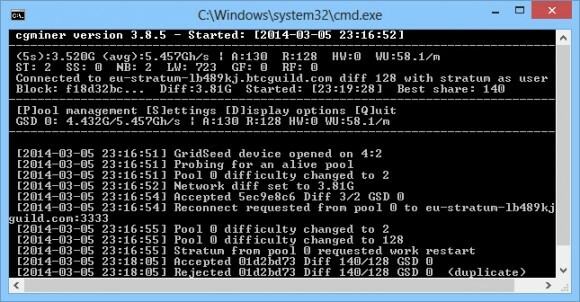 In our efforts to make the Gridseed 5-chip GC3355-based ASIC devices to work in Dual Mode for mining Bitcoin and Litecoin at the same time under Windows we have compiled the special modified version of cgminer 3.8.5 that is designed to work with the Gridseed miners. You need to use this special version for mining BTC or to use the ASIC in Dual Mode where this software will be used for the Bitcoin mining part and the modified cpuminer will be used for LTC mining. Note that in order for this cgminer to detect your ASIC device you need to install a WinUSB driver over the virtual COM to USB driver, but a detailed guide will follow, so stay tuned. 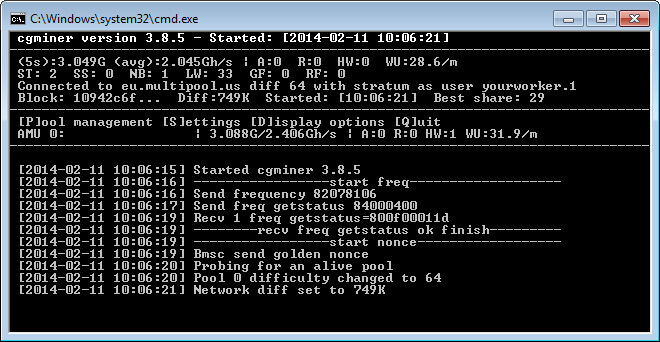 Meanwhile you can download cgminer 3.8.5 for BTC mining on Gridseed 5-chip GC3355 ASICs from the link below in order to try it out. If you have Bitmain AntMiner U1 USB sticks for Bitcoin mining you would need to use a special version of cgminer that is compiled to support these BTC ASIC devices. Below you will find cgminer 3.8.5 for windows that is compiled with AntMiner U1 support along with BAT files to run the USB ASIC at “stock” frequency for 1.6 GH/s, along with settings for running the device at 1.8 GH/s, 2.0 GH/s and 2.2 GH/s. Just make sure that you overclock the AntMiner U1 for higher hashrate to ensure that the device is properly cooled – you need to provide additional fan blowing on the device to cool it down when it is overclocked. Do not, and we really mean that you should not overclock the AntMiner U1 without additional cooling or there is risk of damaging the device!